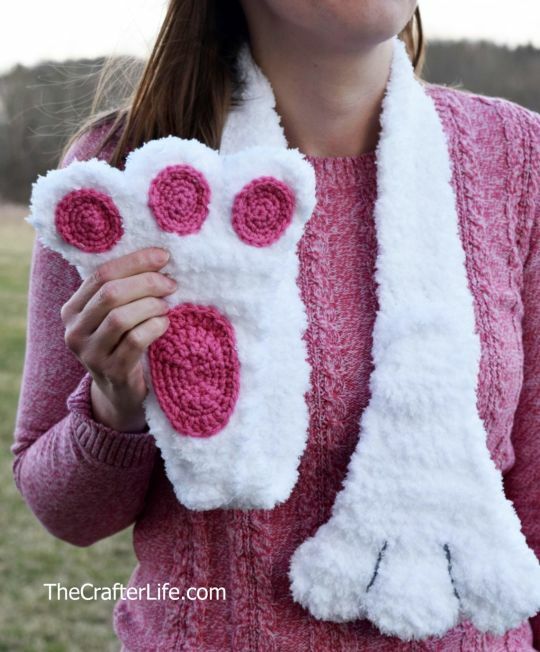 Just in time for Easter, I hope my Bunny Legs scarf is the next project to hop on your crochet hook! The amazing softness of the Bernat Pipsqueak yarn makes you feel like you are touching an actual bunny! It’s so fun to make and even more fun to wear. The length can be easily adjusted for both children and adults to enjoy! “Hoppy” crocheting!! !